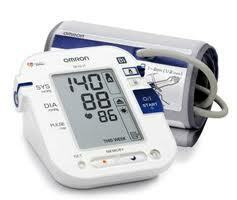 While you were in the hospital you had your blood pressure measured frequently. Do you know the ideal blood pressure is to have 120/70 or less? Blood pressure varies regularly. If you took your blood pressure 10 times in 10 minutes you would likely get 10 varying results. Blood pressure also varies throughout the day. There are usually no symptoms of high blood pressure, and it is often called the silent killer. Hi! I’m Sue, and I’m from SlimKicker, a diet/fitness app and site. I found your blog yesterday and it captured my interest! In case you don’t know, our site SlimKicker basically turns your diet/fitness goals into a level up game. The tracker will work in conjunction the website, and allow people to track calories burned and number of steps they walk automatically. The more they exercise, the more points they rack up! That’s basically how it will work.